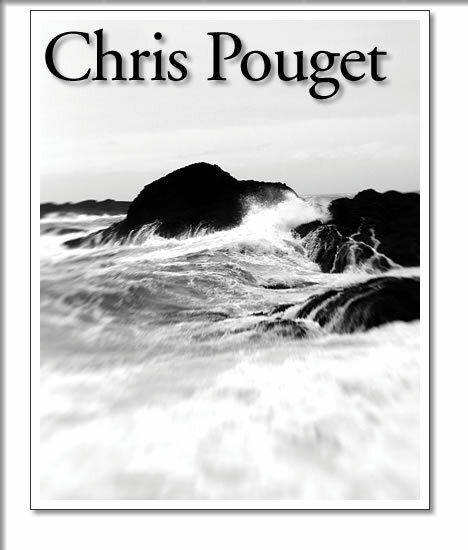 Chris Pouget was born in the small rural town Amherstburg in Ontario and moved to Tofino in 2003. From a very young age Chris found himself drawn to cameras and the the art of photography. Chris studied graphic design at Saint Clair College in Windsor, Ontario and pursued a career in it for a number of years. He worked in newspaper production and as a graphic designer. Chris turned to photography originally for specific shots to fulfil needs in the graphic design projects he was working on. It was then that he realized how much he loved the art and continued to pursue it whole heartedly. He is mostly self taught and is inspired by light and the way it interacts with life. "My objective is for the viewer to feel the very essence of the moment, it's not necessarily about sharpness or exposure... it's about the emotion you can bring out in someone." Chris will use any excuse to get behind the lens but he particularly enjoys photojournalism and landscapes. His work has been published in various magazines, newspapers and websites across the country. Chris has been working on a coffee table book called Art & Inspirations on Canada's West Coast for the last two years, profiling local westcoast artists . Tofino Chocolate: a sweet treat… for your afternoon. Pacific Rim Whale fest is coming!